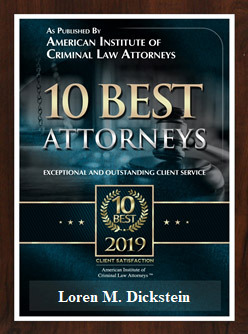 Top Criminal Defense Law Firm Helping Those in Need of Aggressive, Effective and Zealous Representation in Rochester Hills, Michigan. The Rochester Hills Criminal Defense Attorneys with LEWIS & DICKSTEIN, P.L.L.C. are frequently seen representing clients throughout the halls of the 52-3 District Court. This court has a substantial case load that is handled by three judges. The court is located at 700 Barclay Circle, Rochester Hills, MI 48307. The caseload is comprised of felonies and misdemeanors that occurred in the multiple cities and townships of Addison Township, Auburn Hills, Lake Angelus, Oakland Township, Orion Township, Oxford Township, Rochester, and Rochester Hills. 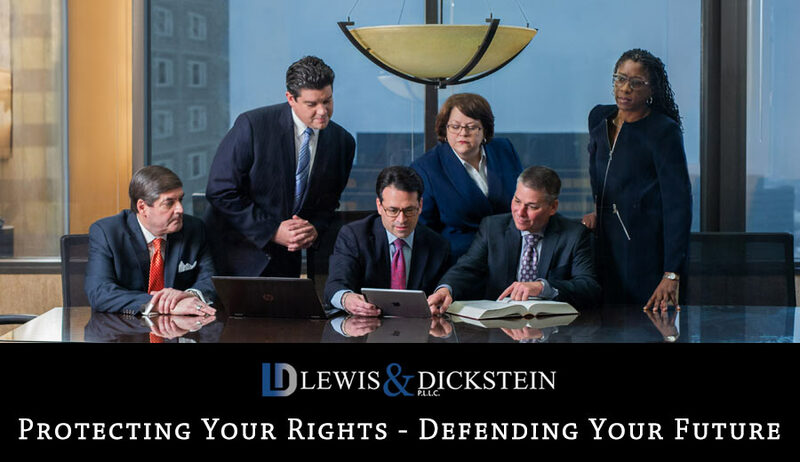 If you are charged with a felony or misdemeanor in the 52-3 District Court, and you want lawyers who will do whatever it takes to protect and defend you, call the attorneys with LEWIS & DICKSTEIN, P.L.L.C. for a free consultation and confidential case evaluation. We have decades of experience successfully representing clients in Rochester Hills and we have a proven track-record of success keeping clients out of jail and, in many cases, avoiding criminal convictions. This court is known to have some of the toughest judges in Oakland County. So, selecting the right attorney is critical. The Rochester Hills Criminal Defense Team at LEWIS & DICKSTEIN, P.L.L.C. has extensive experience defending clients in this court. The three judges, Judge Nicholson, Judge Carniak, and Judge Asadoorian have well deserved reputations for being unyielding, tough, and hard-hitting. Where some offenses may result in just a fine in some courts, the judges in Rochester frequently hand out lengthy jail sentences and prolonged terms of probation. After witnessing our comprehensive, effectual, and distinguished representation of our clients for years, we have earned the respect of these judges. The same can be said for prosecutors, police officers and court staff. When we walk in the courtroom by your side, everyone will know that you take your defense seriously and that everything possible will be done to defend you. General practice attorneys do a little bit of everything and do not specialize in criminal defense. There are also high-volume, low-quality attorneys that offer cheap rates and weak strategies. By hiring LEWIS & DICKSTEIN, P.L.L.C., you get a team of lawyers who will cooperate and collaborate to obtain the best possible result for you. Each member of our team appears frequently in Rochester and will take the time to talk with you, answer your questions, alleviate your fears, plan a strategy, investigate your case, and do what is necessary to fearlessly defend you. It cannot be stressed enough that when you are involved with the 52-3 District Court, you must have a Top Rochester Hills Criminal Defense Attorney because your freedom and rights hang in the balance. As you can see, the selection of your criminal defense attorney is paramount to gaining someone to fight for you. Conversely, picking the wrong attorney can result in conviction or jail time. We have defended clients on charges of domestic violence, retail fraud, drugs, weapons, assault, larceny, embezzlement, violation of probation, OWI/DUI, OWPD, driving while license suspended, property crimes, financial crimes, conspiracy, and much more. We have defended clients on thousands of felony and misdemeanor charges are we are ready to put our vast experience and knowledge to work for you. The Rochester Hills District Court is unlike most other courts. Violations of probation and bond are routinely filed over the most minute and insignificant technical violations. If a lawyer does not fully understand how seriously these matters are taken and properly prepare a persuasive defense, a defendant may find him or herself sitting in jail instead of out on bond or probation. We are well known in Rochester Hills for helping clients get out and stay out on bond and also avoid jail sentences for probation violations. The LEWIS & DICKSTEIN, P.L.L.C. firm has designed specific strategies for the Rochester Hills District Court and those strategies will not only protect you, they will also get you the best possible outcome. The LEWIS & DICKSTEIN, P.L.L.C. firm has tremendous experience with this court and know how to guide you through your misdemeanor or felony charge. We are recognized by multiple organizations that review and rate criminal defense law firms. Not just any criminal defense attorney receives these awards. They must be earned through consistent and competent lawyering. 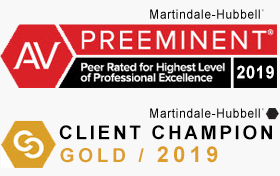 Our outstanding track record of wins and client satisfaction have helped us achieve countless honors. Look no further for your Rochester Hills Criminal Defense Attorney. Call LEWIS & DICKSTEIN, P.L.L.C. today at (248) 263-6800 for your free consultation or fill out a Request for Assistance Form and we will call you back promptly and listen to every detail of your case. Our firm truly cares about the satisfaction of our clients and you will be treated with the utmost respect.